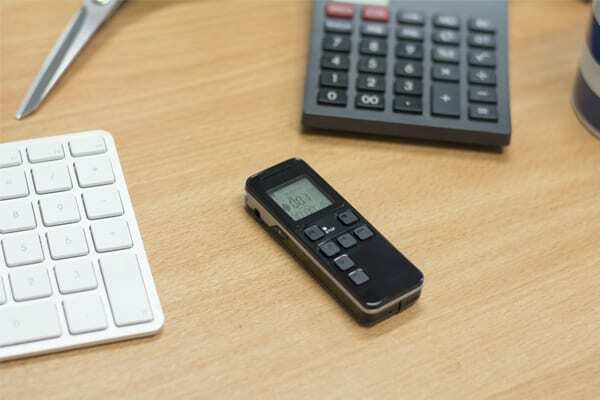 This compact and very powerful little classic style voice recorder has been in demand before we were even able to publish it on the website and when looking at the list of features it is not hard to see why. Several very important factors set this apart from our other voice recorders and most other recorders available on the market. 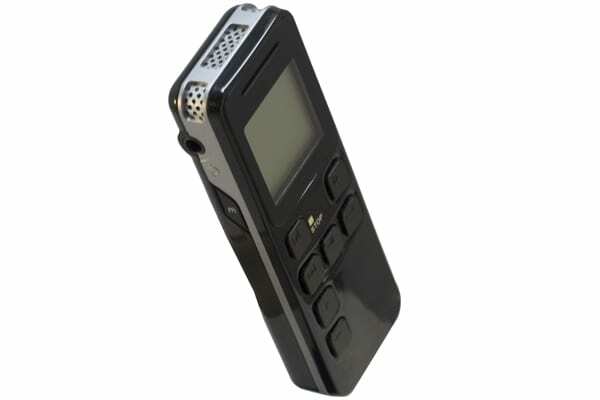 One particular question comes up when talking with customers who are looking for a high quality voice recorder and that is whether time and date is referenced on the audio recordings. Although time and date stamping is pretty much standard on video footage, it is not a practice that has been readily applied to audio recording products. 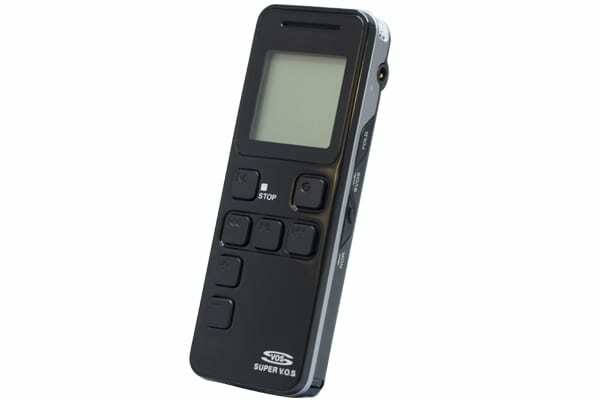 The Ultimate Voice Recorder has this functionality built in, so each recorded file has a time and date. This obviously makes it easier to understand more readily the timing of recorded events, but more importantly ensures that it has greater validity for evidential use. Most digital recorders have voice activated recording as an option, but generally when in this mode the operating system for the recorder is continually draining battery at a fairly steady rate because the microphone is still actively waiting to hear sound. The Ultimate has SVOS – super voice operated system which means that a much lower drain is put on the battery when switched on in this mode. The result is a marked increase in battery life and in the case of the Ultimate Voice Recorder the standby time can be up to 31 days. Alternatively if used in straight recording mode the battery power would last a total of 16 hours. This recorder also differs in that it has an inbuilt lithium polymer rechargeable battery whereas most other classic style recorders use changeable batteries. The obvious advantage is that there is no extra unnecessary expense and hassle with having to change over batteries. Having someone interfere with or delete precious recordings is always a worry with a recorder of this type, especially in the case of the ultimate where the controls are obvious and the operating system makes using the technology a simple task. This has already been thought of here and as such it is possible to programme the device to only activate once the correct password has been entered. This ensures that your files will be protected from unauthorised playback and or offload / deletion. The memory capacity is a huge 8GB and although some would say that doesn’t sound a lot, it actually equates to a recording capacity of up to 1040 hours when used in long play (LP) recording mode. To make things more versatile there are 4 recording folders each with capacity to accept up to 999 recorded files, so organising recordings should be made easier. Although the recorder maybe logically set out and easy to operate, this does NOT mean that the audio recording and playback system are also simple. There is a changeable noise filtering system to either help remove certain unwanted ambient sounds or to enhance voice on the recordings. The system features automatic level control ensuring that there should be no sudden peaks or troughs in audio level. Supporting MP3, WAV and WMA playback the device supports all common audio recording types and on playback it is even possible to alter the playback speed, which can be a real help when trying to decipher fast speech. This product does not require any additional specialist software to enable audio recordings to be played back on a computer. It will generally use the preinstalled media player on the computer for playback of recorded files and as such it can be used with Windows, Mac, Linux and Google Chromebook operating systems. If any playback issues are experienced then a third party media player (free download) could be used. We use VLC Media Player in the Spy Equipment UK office. In the box with the recorder are an instruction manual, USB lead, earphones, a clip on mic. and audio cable, so it is ready to use out of the box. We do offer optional extras on the drop-down menu and these include a plug in ‘covert’ microphone with a 1 metre cable length that allows hiding the recorder out of sight, but still allowing crisp unobstructed audio pick up of the surrounding environment. Also an option is a UK USB to mains adapter for fast charging independent from a computer. How long will the device battery last when not used in super voice activation mode? After a full charge you will get up to 16 hours recording time, although the device can take a permanent power feed from computer USB or USB mains power adapter (optional extra). Is the device discreet and silent in operation? Yes, the device is digital, so there are no moving parts and or sound alerts that would attract attention. Do the recordings have a time and date stamp running throughout the recording? Each recorded file has a time and date reference, but to have time and date continually running on the file in the background would require an announcement on the audio itself or a specialist console to play back. However with each file referenced, this should be ample for evidential purposes. Will the recorder still record if it is hidden out of sight? Yes, the recorder will still pick up sounds from the local environment, although if it is heavily muffled by heavy cloth, etc., the microphone effectiveness may be reduced. We can supply an external covert wired microphone that allows the recorder itself to be hidden away. How are the recordings be played back? Recordings can be played back through supplied earphones whilst plugged into the unit, the inbuilt device speaker or through computer speakers when connected. Can I use this as a telephone recorder as well as a stand-alone audio recording device? We do not supply a UK telephone connector with this product as a matter of course, but have another product that comprises this recorder and the correct type of UK telephone recording lead. Can I swap the rechargeable battery for a standard type of alkaline battery? Unfortunately the lithium ion battery is built in and is not interchangeable, but this of course saves on battery replacement costs in a very short period of time. Although the device has a rechargeable internal battery with superb standby time in voice activation mode, we can as a cost option supply a USB to mains power adapter. Please see drop-down menu. 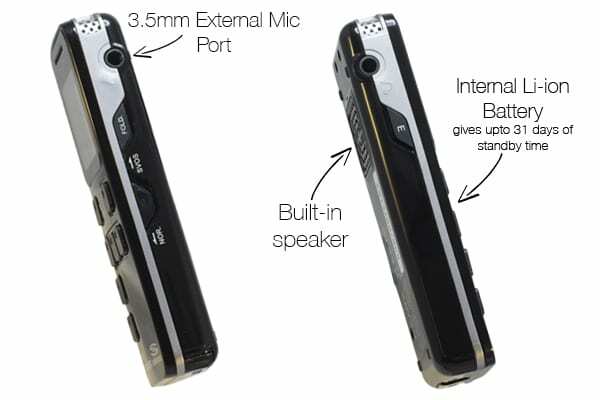 If you wish to place this recorder out of plain sight, then it may be worth considering the optional ‘covert’ wired microphone that will allow very discrete recording without need to have the Voice Recorder Ultimate on show. We supply this microphone as a cost extra as standard with a 1 metre connection lead. If you require a longer mic. lead, then please contact Spy Equipment UK by email or telephone to confirm your requirements (very long lead requirements may incur additional costs). The computer of choice will need a media player programme installed for playback of audio files. It maybe worthwhile downloading a free media player. We use VLC Media Player at Spy Equipment UK.